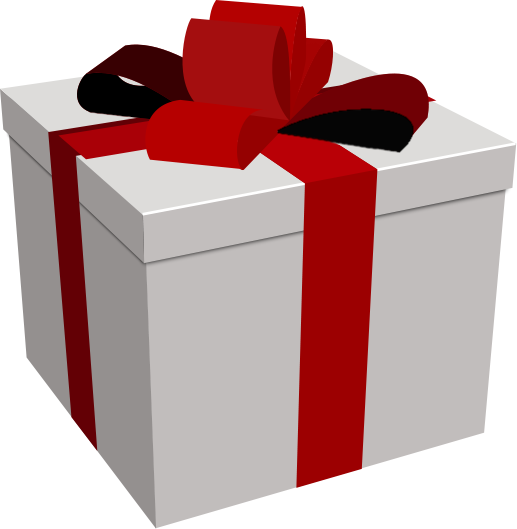 Now that Christmas is over many of you received all kinds of gifts – expensive, inexpensive, thoughtful, thoughtless, etc. – which you are now getting accustomed to having. For example, someone got a new coat and is getting used to it being in their closet. Now he can include it in his selection of outerwear choices or, more simply, she now has a coat to wear as opposed to not having one prior to the gifting. Anyway you look at it, the coat is a blessing and its new owner continues to receive the benefits of the blessing every time he/she wears it and it actually protects her from the elements of the world – the cold, rain, snow, high winds and stormy weather. God‘s priceless gift, Jesus Christ, who’s birth we are to celebrate on Christmas day, is a far better gift than any earthly gift we can receive. But once Christmas is over, and the earthly gifts have lost their splendor, many people are still uncertain about the reason for the season. They go on living life, trying to be righteous in themselves, doing the best they believe they can to get on God’s good side. Many are attending all sorts of religious assemblies to manifest a sense of spiritual praise that is heavily influenced by human practices that ease God (who created the Heavens and the Earth) out and allowing for the God of this world – Satan – to have his way. Others are maintaining some appearances of goodness which they feel is their reasonable service to get to Heaven, when all the while they live in fear, terror, and absolute abandon to the truth of their spiritual salvation and their place in eternal life. The idea of Heaven seems to be a potential place of arrival often overshadowed by the fantasy of alternative ideas made possible by human imagination. Ecumenical ideas exist -brought about by devout, scholarly theologians – which offer competing approaches to reaching Heaven that are based in worldliness rather than God’s Word. Furthermore, the denouncement of Hell as being a real destination in God’s Word continues to have a growing audience. it is much more comfortable to assert that Hell is here on Earth. Once the Word of God is challenged as one of many sources for man to understand the future, all kinds of human approaches to Hell become viable alternatives. Human hope purports Hell as an uncertain aspect of the future that won’t be as bad as it is described. The worldwide deception of the existence of Hell is obviously winning as people are more focused on getting their Earthly wealth and prosperity, and living their best life now rather than getting ready for Judgement Day when every knee will bow and every tongue will confess that Jesus Christ, the priceless gift of God, is Lord. By faith you can receive His gift – which has 2 parts! By faith, believe that Jesus Christ was born to die on the cross for your sin- past, present & future – and He was buried and rose up from the grave and now sits on the right hand of the Father making intercession for you daily. ***He loves you unconditionally. *** As you trust Him daily in your prayers to Him (end your prayers “in Jesus name Amen.”) your faith will mature & your life will be enriched more than you can possibly imagine. That’s Part #1 – forgiveness of sin. Part # 2 is the best one – you are GUARANTEED Eternal Life IN Heaven. By faith you know that you will spend your life after this life with Him in Heaven. Romans 10:9– because if you confess with your mouth that Jesus is Lord and believe in your heart that God raised him from the dead, you will be saved. 10 For with the heart one believes and thus has righteousness and with the mouth one confesses and thus has salvation. Rom 10:17 Consequently faith comes from what is heard, and what is heard comes through the preached word of Christ. Therefore I exhort you, brothers and sisters, by the mercies of God, to present your bodies as a sacrifice — alive, holy, and pleasing to God — which is your reasonable service. 12:2 Do not be conformed to this present world,but be transformed by the renewing of your mind, so that you may test and approve what is the will of God — what is good and well-pleasing and perfect. 2 and by which you are being saved, if you hold firmly to the message I preached to you — unless you believed in vain. Galatians 2:20&21 20 I have been crucified with Christ, and it is no longer I who live, but Christ lives in me. So the life I now live in the body, I live because of the faithfulness of the Son of God,who loved me and gave himself for me. 21 I do not set aside God’s grace, because if righteousness could come through the law, then Christ died for nothing! :2 keeping our eyes fixed on Jesus, the pioneer and perfecter of our faith. For the joy set out for him he endured the cross, disregarding its shame, and has taken his seat at the right hand of the throne of God. I John 1:8-10 8 If we say we do not bear the guilt of sin, we are deceiving ourselves and the truth is not in us. 9 But if we confess our sins, he is faithful and righteous, forgiving us our sins and cleansing us from all unrighteousness. 10 If we say we have not sinned, we make him a liar and his word is not in us. 1John 5:13 (gift part #2) Assurance of Eternal Life I have written these things to you who believe in the name of the Son of God so that you may know that you have eternal life. May the grace of God wrap you in His everlasting care from this day forward. If we never meet in this Earthly life we will praise God together eternally in Heaven. God bless you & Happy New Year. 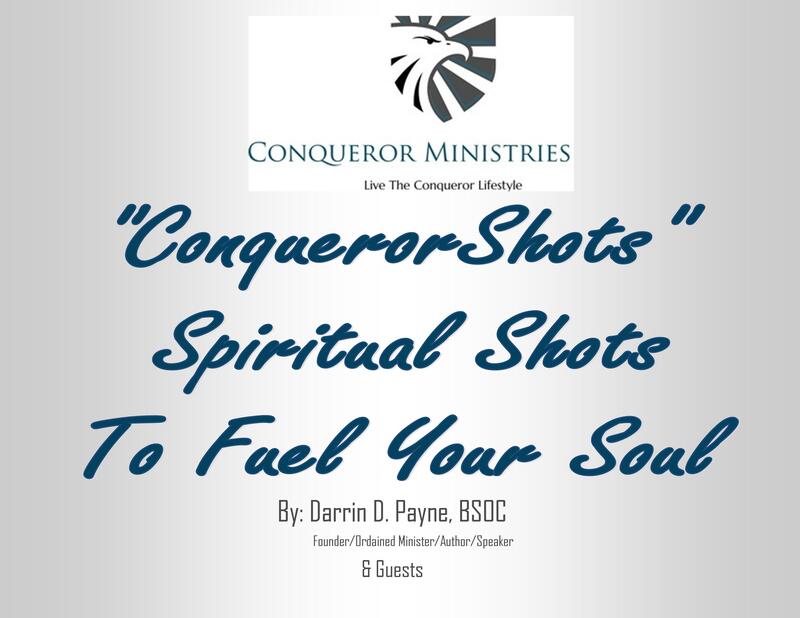 Conqueror Ministries is always available for you to experience getting the “more” in Romans 8:37 on a daily basis.